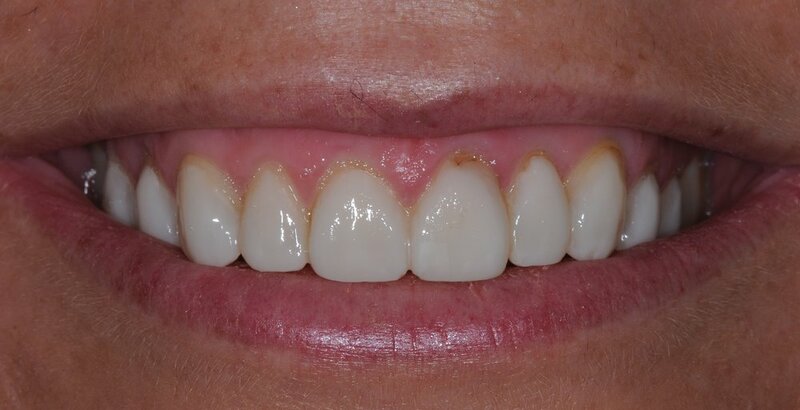 A 10-unit upper Smile Makeover was provided for this lovely lady. 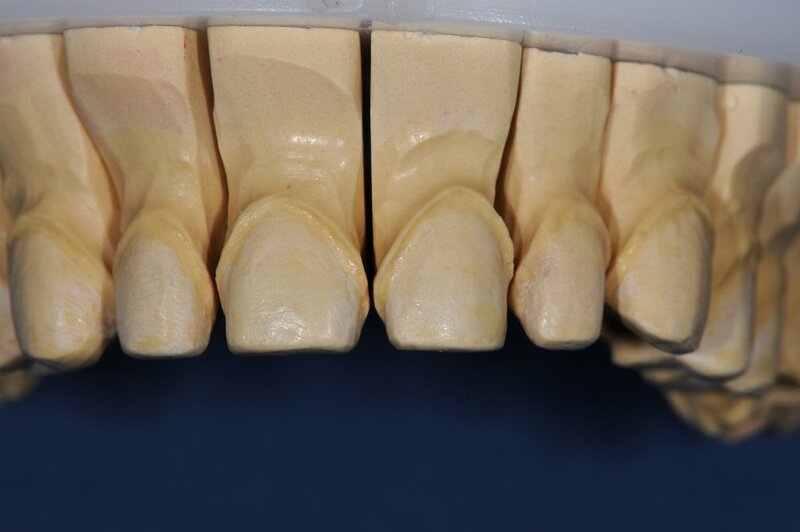 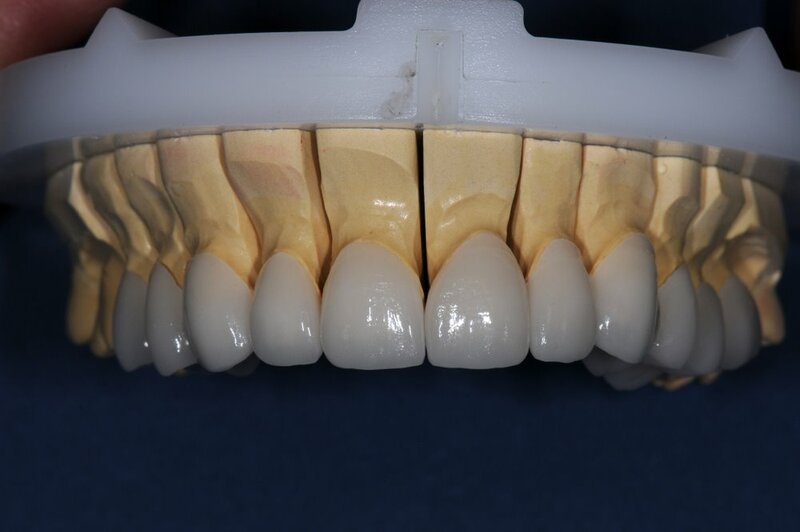 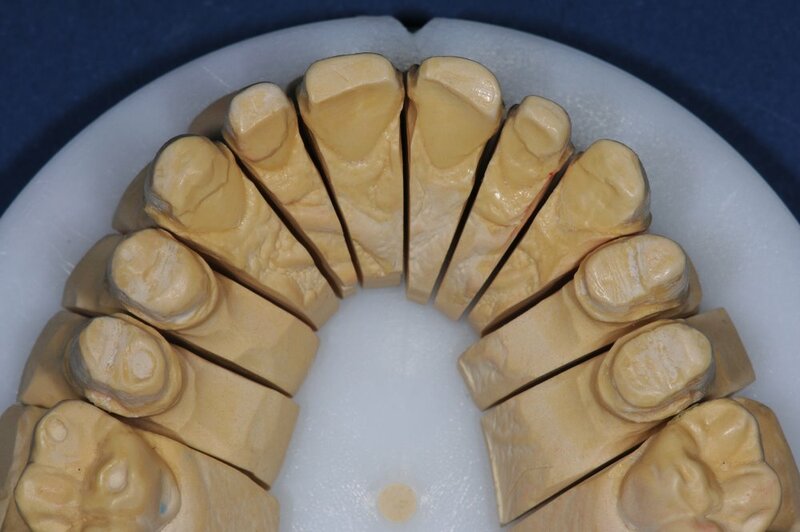 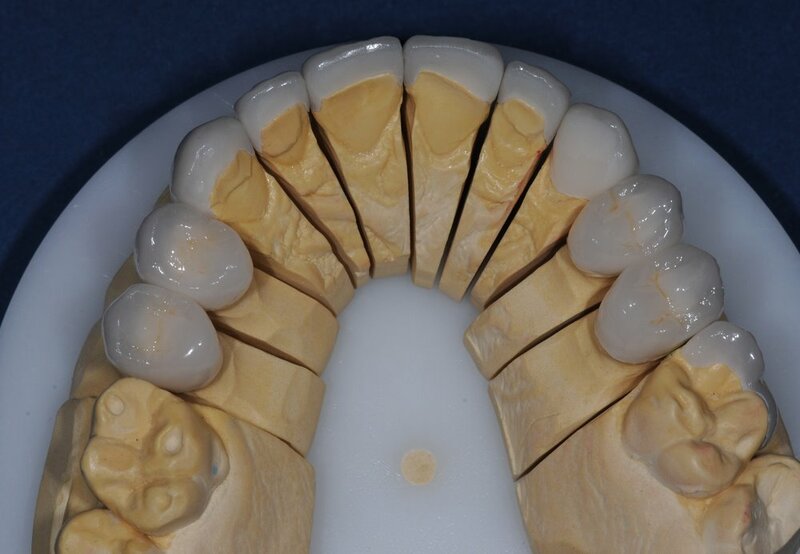 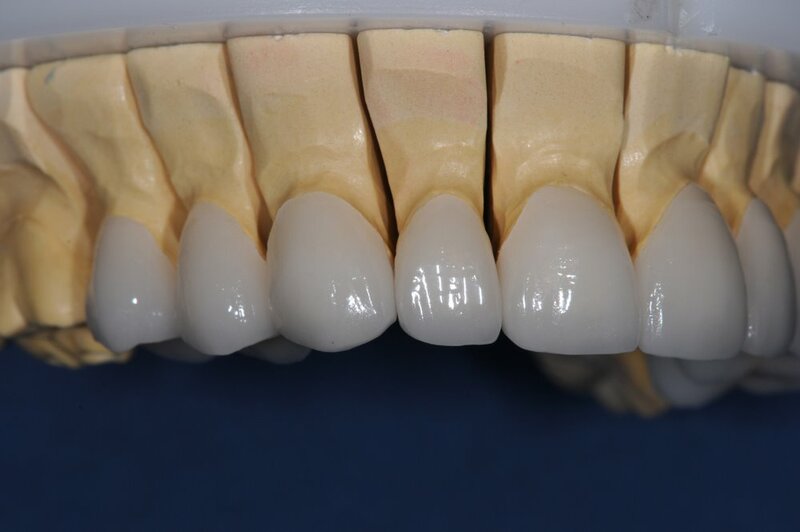 The case involved precision design of porcelain restorations for each tooth and included a combination of porcelain veneers and ¾ porcelain crowns on the premolars. 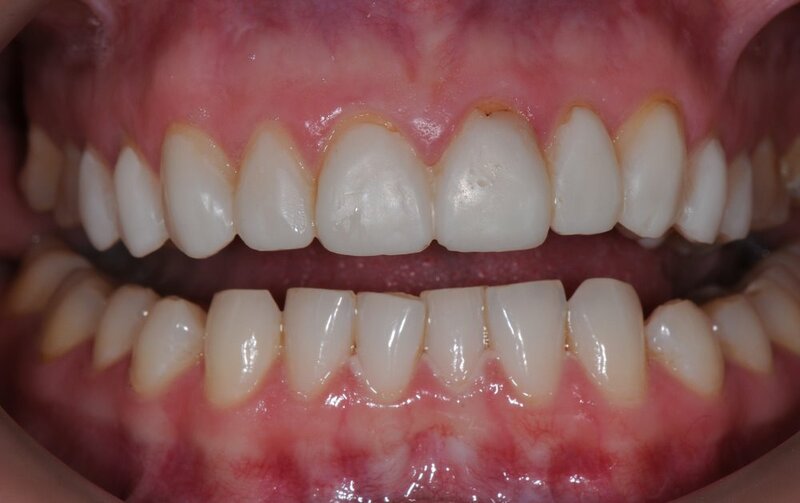 The lower teeth were whitened. 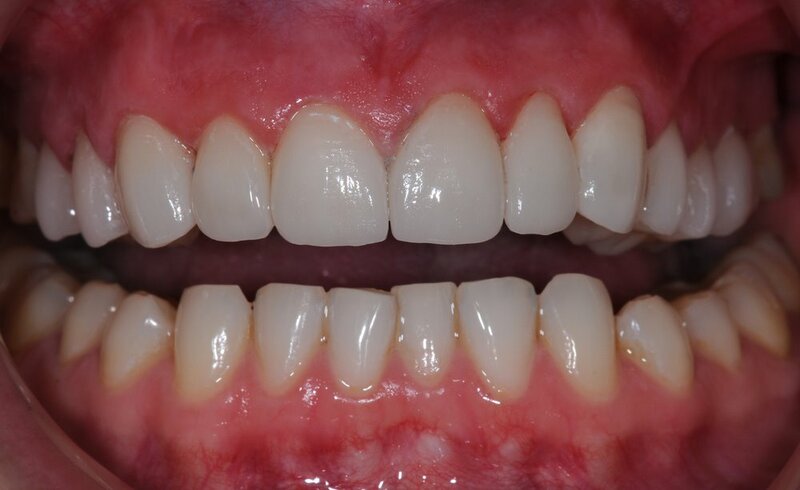 The case was made more interesting as we had to deal with occlusal interferences posteriorly, and also a pre-operative cross bite at UL4 and UL5 areas.